Claudi has studied Physics at Autonomous University of Barcelona and a master’s degree in Automatic Control and Robotics at Polytechnic University of Catalonia. 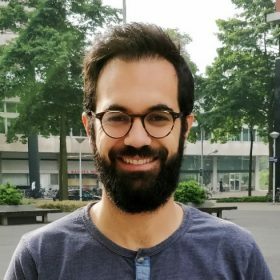 He has been doing research in Machine Learning for the industry since 2015 and currently he is working at ABN AMRO Clearing Bank as a Machine Learning Specialist. 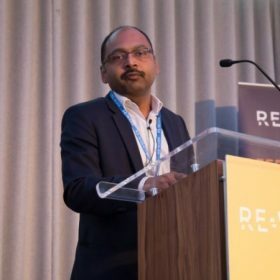 His domain of expertise is unsupervised learning and he is currently tackling problems such as unsupervised anomaly detection, information compression, clustering and time series forecast by using approaches within the framework of variational autoencoders, recurrent neural networks and generative adversarial networks among others. Joining in 2015, Alison spent her first 18 months with NVIDIA as a Deep Learning Solutions Architect and is now responsible for NVIDIA’s Artificial Intelligence Developer Relations in the EMEA region (Europe, Middle East, Africa). She is a mature graduate in Artificial Intelligence combining technical and theoretical computer science with a physics background & over 20 years of experience in international project management, entrepreneurial activities and the internet. 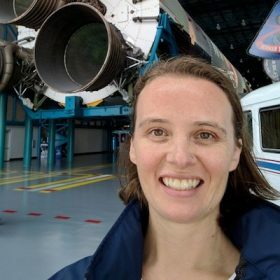 She consults on a wide range of AI applications, including planetary defence with NASA, ESA & the SETI Institute and continues to manage the community of AI & Machine Learning researchers around the world, remaining knowledgeable in state of the art across all areas of research. She also travels, advises on & teaches NVIDIA’s GPU Computing platform, around the globe. 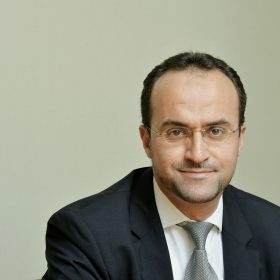 Youssed Elouerkhaoui is the global Head of Credit Quantitive Analysis at Citi. His group supports all aspects of modelling and product development across desks, thais includes: Flow Credit Trading, Correlation Trading, CDOs, Exotics and Emering Markets. He also supports CVA, Funding and Regulatory Capital for Credit Markets. Prior to this, he was a Director in the Fixed Income Derivatives Quantitative Research Group at UBS, where he was in charge of developing and implementing models for the Structured Credit Desk. 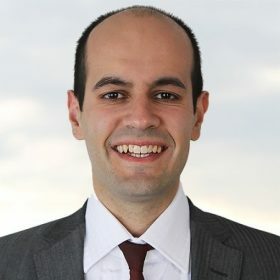 Before joining UBS, Youssef was a Quantitative Research Analyst at Credit Lyonnais supporting the Interest Rates Exotics business. He has also worked as a Senior Consultant in the Risk Analytics and Research Group at Ernst & Young. 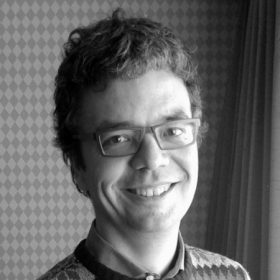 He is a graduate of Ecole Centrale Paris and he holds a PhD in Mathematics from Paris-Dauphine University. The market standard for the pricing and risk management of complex derivatives within the Foreign Exchange markets uses a local-stochastic volatility (LSVol) model. This type of model can better capture relevant market dynamics but is computationally very expensive. The talk will introduce the topic of TCA (transaction cost analysis) and the various approaches which can be used to do it. It will also outline the typical metrics which are used in TCA, and will include an interactive demo of tcapy to illustrate them. Later, the talk will focus on the software design aspects of tcapy, along with the Python libraries used. There will also be section on the various Python tips & tricks which were used to speed up the computation. What’s the point in a super accurate predictions – if they are a day too late? Or so-so insights – because you’ve not had time to train using all your data? Wouldn’t it have been good to try some more potential models – to check you’ve got the best option? Your choice of platform can have a large impact on the amount of data you can process and the range and accuracy of models you train. Come and hear about your options on the POWER platform – acceleration using GPUs / FPGA, optimised open source frameworks, wide ranging software ecosystem – and check you aren’t missing out on something which could increase your productivity and accuracy. Focused on the creation and growth of strategic relationships with key software organisations. In particular those using AI capabilities and looking to enable end users to gain timely insights from their data. 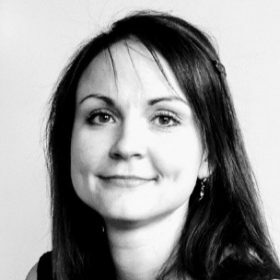 Mandie’s background is Linux, Power Systems and High Performance Computing focused, specialising in the design and implementation of high performance Linux-based systems. Mandie has an MBA and a Ph.D. in Astrophysics. Artificial Intelligence is impacting all areas of society, from healthcare and transportation to smart cities and energy. AI won’t be an industry, it will be part of every industry. NVIDIA invests both in internal research and platform development to enable its diverse customer base, across gaming, VR, AR, AI, robotics, graphics, rendering, visualisation, HPC, healthcare & more. 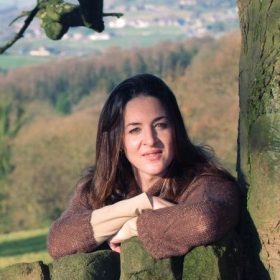 Alison’s talk will introduce the hardware and software platform at the heart of this Intelligent Industrial Revolution: NVIDIA GPU Computing. 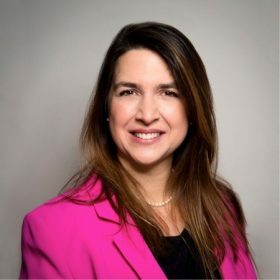 She’ll provide insights into how academia, enterprise and startups are applying AI, as well as offer a glimpse into state-of-the-art research from world-wide labs & internally at NVIDIA, demoing, for example, the combination of robotics with VR and AI in an end-to-end simulator to train intelligent machines. The hyper-parameter space of the other models can be modeled more rapidly. The other models no longer need to learn first order representations since those are given by the main model, which means that their training time is reduced. The other models can be smaller now as well, so less GPU space is required. Better performance and less tendency to overfit. The representations learnt by the main model (unsupervised learning) are, in principle, richer than if they would have to be learnt for specific tasks (supervised learning). There is an attempt to construct a DeepNN architecture that enables to automatically extract relevant features at relevant timestamps in the past for prediction of future price movement. The approach is based on the paper “DeepLOB: Deep convolutional Neural Networks for Limit Order Books” by Zhihao Zhang, Stefan Zohren and Stephen Roberts. Using the proposed techniques we try to automatically generate features from Limit Order Book for different asset classes and compare the generated features with those that are hand-crafted and give good results in prediction. 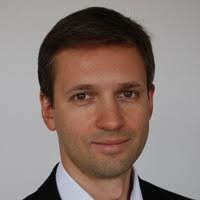 Ivan Zhdankin is a quantitative researcher with experience in diverse areas of quantitative finance, including risk modelling, XVA, and electronic trading across asset classes, including commodity futures and G10 and emerging market currencies. Ivan was consulting various banks in quantitative modeling and has recently joined JP Morgan as a quantitative analyst. He has become one of the first researchers to generate convincing results in electronic alpha with neural nets. 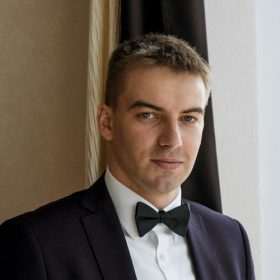 He has a solid mathematical background from New Economic School and Moscow State University, where he studied under the celebrated Albert Shiryaev, one of the developers of modern probability theory. Applicability of quantum algorithms to financial use cases. Three developed examples of financial applications using quantum computing, involving Monte Carlo simulation, approximate optimisation, and machine learning algorithms. David focusses on researching, developing and implementing financial industry applications of quantum computing. QxBranch delivers predictive analytics, illuminated by Explainable Data Science, leveraging the emerging potential of Quantum Computing. David has over 20 years experience as a Front-Office Quant in the Finance Industry. Previously, he has been the Global Head of Quantitative Analysis at the Commonwealth Bank of Australia. Prior to that, he was a Director at Deutsche Bank and a Quant Analyst at Morgan Grenfell. 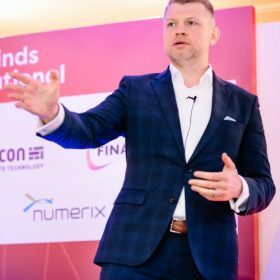 He has covered all asset classes and been involved in management, modelling, risk and analytics, derivatives and structured products, machine learning and electronic trading. David holds a PhD in Artificial Intelligence from Cambridge University and an MBA (Exec) from the Australian Graduate School of Management. He has authored articles in finance, computing, physics and engineering.